Horse Money is astonishingly beautiful in its visual poetry! Pedro Costa, who wanted to capture the life in Lisbon's ghetto area called Fontainhas in the late 90s, made a beautiful film called Bones (Ossos). During the shoot, he saw much beauty in the place and got to know its poor, working class, immigrant inhabitants. He decided to immerse himself in their lives, abandoning his huge 35mm film equipment, elaborate lighting setups and a big crew and started documenting their lives with small video camera. The experience bore him 2 more extraordinary films-- In Vanda's Room and Colossal Youth, starring the inhabitants of the slum, which are remarkably immersive fictional films bordering on documentary territory. The three films became later known as The Fontainhas Trilogy. Fontainhas is since demolished and gone. But in Horse Money, Costa continues with that tradition. But it is much more impressionistic and dreamier than The Trilogy. 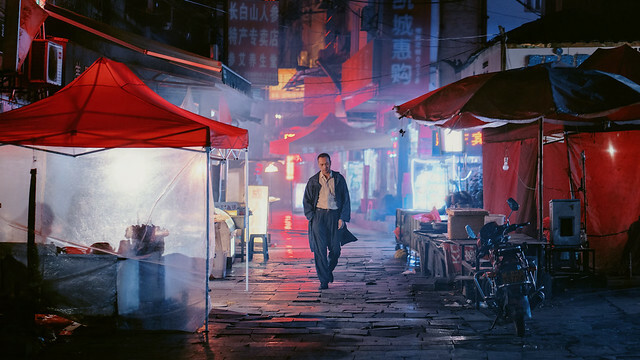 It centers around Ventura, the star of his last fiction film, Colossal Youth, as he wanders around the corridors of underpopulated, haunted places. His hands shake uncontrollably because of nerve disease, he has aged more and is much more frail now. He is committed in a labyrinthine, underground mental hospital but keeps walking off and is brought back in again and again. Costa, like in Colossal Youth, lets Ventura's tales unfold in episodic storytelling. He visits his former work place, now abandoned and forgotten-- the tall factory building is kept in its decrepitude. He talks to ghosts from his past-- a factory foreman, secretary, even the boss on the phone which stopped working long ago. We get the glimpse of Ventura's past. A fellow Cape Verdean, Viralina, who finally made to Portugal only to attend her husband's funeral, visits Ventura in the hospital. They talk about the life they left behind. He keeps insisting that her husband is alive. He thinks he is 19 and the present year is 1975. The year holds special meaning for Portuguese people. It was a revolution against the dictatorship (known as the Carnation Revolution). It also meant Portugal giving up its colonies in various parts of the world. As a Cape Verdean working class immigrant, Ventura wasn't too keen on the presence of the soldiers with guns. Poetic, deliberately slow pace of the first half gives in to a long, surreal, mesmerizing elevator ride with Ventura and a faceless, scary soldier with a rifle. The soldier taunts the old man relentlessly. The nightmarish scene can be interpreted as Costa's therapy session for Ventura, exorcising his past demons that he wants to do without. The look of Horse Money, with long takes and painterly composition, is simply put, out of this world-- from old photos of workers in mines and shanty towns that starts the film to Ventura wandering in and out of an abandoned factory/office building to labyrinthine tunnels of the hospital to a series of singing sequences. They are even more beautiful and striking than in Colossal Youth if that's at all possible. Haven't seen anything as mesmerizing in a long time. It really needs to be seen on a big screen. I really hope it to have a theatrical distribution soon. Costa was awarded Best Director at Locarno Film Festival 2014 for Horse Money. 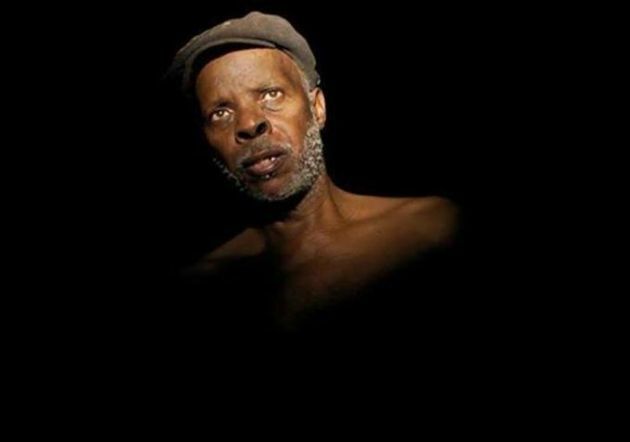 It is getting a week engagement at FSLC as part of LET US NOW PRAISE FAMOUS MEN: THE FILMS OF PEDRO COSTA. Please visit their website for tickets and more info.